On Saturday, November 9, the UMBC women’s soccer team made the Retriever family proud as they clinched the America East Championship with a 2-1 win over defending champion Stony Brook. This is the first-ever tournament title for UMBC women’s soccer. It was also the biggest team turnaround in America East Conference history as they achieved a school record of 13 wins! Read the press release or check out video highlights from the game. 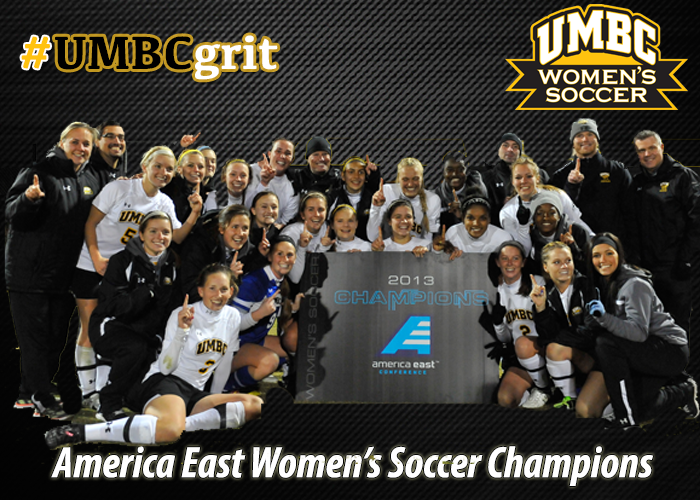 Show your #UMBCgrit and celebrate our 2013 women’s soccer team and coaching staff with a gift to the women’s soccer team!